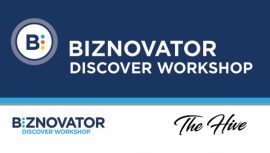 The one week BIZNOVATOR Kamp for Kids introduces youth to entrepreneurship with a fundamental, interactive and experiential approach. Our key objectives during the fast pace week are to; reshape mindsets, teach students to identify their passions, develop opportunities while recognizing the fundamentals of business start-up. 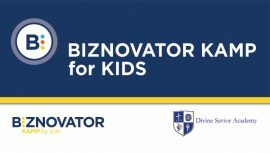 BIZNOVATOR knows that when kids are having fun and connecting to their passions, they are more focused and prepared to optimize their learning. During the weeks activities kids are introduced to key strategies that can lead to their future success. They learn first-hand the characteristics of entrepreneurs by interviewing local business leaders during the camps speakers’ series. 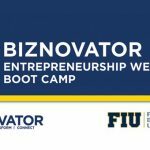 The BIZNOVATOR Kamp for Kids culminates with a business plan competition where students pitch their business plan to their peers and local community entrepreneurs. 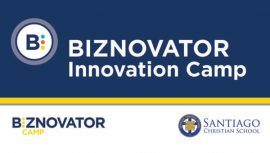 In addition to the fun and learning, we encourage parents to participate in our BIZNOVATOR trade fair where their children will market, sell and monetize their business products or services. Whether they start a business now or later, what’s critical to understand is that social entrepreneurship and innovation are a mindset. We strive to help them tap into their genius early so they can reach their full potential.